The state unemployment rate dropped to 8 percent in February from January's 8.3 percent rate, the state Department of Labor and Industry reported Thursday. Pennsylvania also reported there were 30,000 more people working statewide in February than there were in January. Pennsylvania's unemployment rate is now nearly a full percentage point below the rest of the nation, which logged 8.9 percent unemployment for the month. Still, the news is actually not good for the long-term unemployed. This week the state announced that unemployment benefits would be reduced from 99 weeks to 93 weeks because, in January, the unemployment rate fell below 8.4 percent and that automatically triggered a reduction in the number of weeks that benefits would be paid. The January unemployment rate was originally reported at 8.2 percent, but later revised to 8.3 percent. It was the average for November, December and January that triggered the reduction in federal Emergency Unemployment Compensation benefits. Spring 2011 Pittsburgh Diversity Employment Expo Coming March 15th, 90 Companies Will Be On Hand! The 10th annual Pittsburgh Diversity Employment Expo Job Fair series will begin this year on March 15th at Consol Energy Center from 10:00AM to 3:00PM. Interest is already high among local Pittsburgh employers and 90 companies are expected to be on hand. Produced by the Pittsburgh office of EmploymentGuide.com and co-sponsored by The Urban League of Greater Pittsburgh in association with AARP Foundation WorkSearch and the Allegheny County Department of Veteran's Affairs, featuring career opportunities from Consol Energy, Inc, this event is open to the general public and free for all job seekers. Positions being offered will be in healthcare, nursing, oil/gas, manufacturing, banking/finance, sales, customer service, retail, military, hospitality, drivers, social services and much more. Pre-registration for job seekers is not required but doing so will allow faster entrance at the door by-passing the registration table! 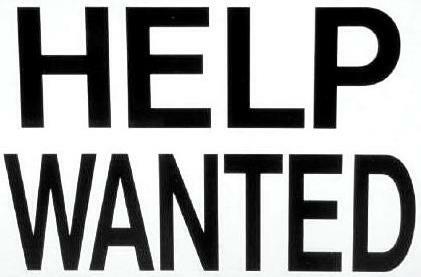 Job Seekers may pre-register by clicking here. 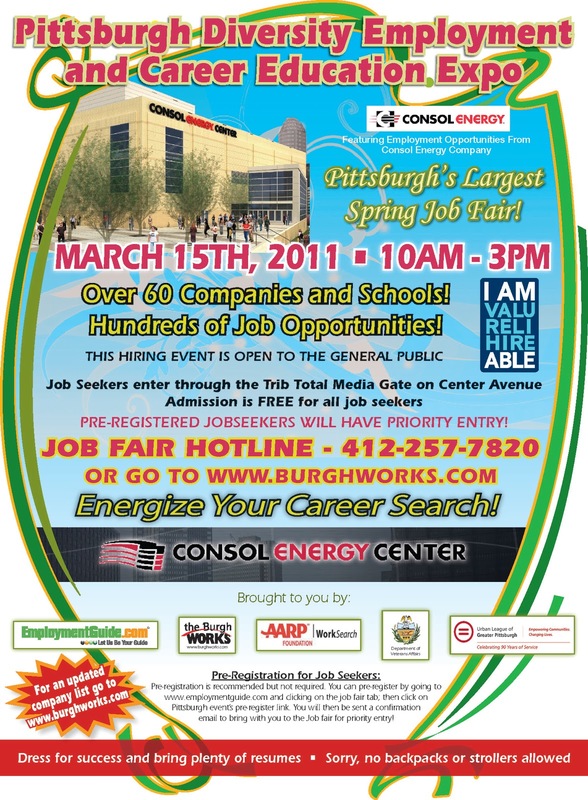 Pittsburgh area employers are invited to find out more about how they can attend by emailing pittsburghjobs@gmail.com.